While cremation has become a more common choice for families, many people still have questions about cremation and the cremation process. At Darrell Howe Mortuary, you can find answers. If I choose cremation can I still have a service? There are many ways to honor your loved one before or after the cremation has taken place, including traditional funeral services with a visitation or a memorial service. View our service options, or contact us to find out more. What are my options for the disposition of the cremated remains? There are many unique ways to remember. Contact us to find out more. Darrell Howe Mortuary owns and operates its own crematory, which means your loved one is always in our care and ensures that the cremation is conducted with honor and respect. The crematory is available for inspection; please contact us to arrange a visit. 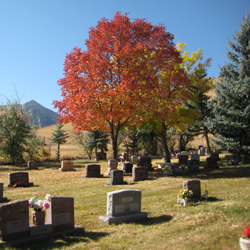 We are always happy to explain the cremation process and the wide variety of cremation options available. Contact us to learn more.